For the purposes of this statement, personal information includes your name, address, account information, company name, email address, telephone number and any other information which identifies you. “We, us, our” refers to BestMobileCanada and our affiliated companies. Non-personal information refers to all non-identifiable information such as your IP address, referring website, browser type, and navigation on the website as well as consolidated demographic information which does not contain individual information. 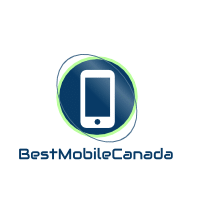 To provide you with the best service possible or to complete a transaction, BestMobileCanada gathers your information to both verify your identity (to prevent fraud) and to facilitate your request. By providing your information in association with your request you are giving us your expressed consent in using that information to provide you the service or transaction you requested. This information is not stored on our website but redirected to a secured site. Information collected in this manner is used solely for processing your request. We may collect and summarize this information in such a manner where no individual may be identified for statistical purposes to help us improve our business practices and provide better service to you. Order Processing: When you purchase from our website or retail location, your name, address, credit card number and amount purchased will be submitted to your financial institution to verify your identity and to authorize your purchase. We must also supply your name, telephone number, address and items purchased to third party shippers such as Canada Post to deliver your order to you. There may also be instances where we may drop ship directly from the manufacturer or one of our suppliers. In these instances they are the shipper for this order and given the same information. Disclosure to Service Providers: BestMobileCanada may share your personal information with certain service providers in order to: provide products and services to you based on your request, to verify and validate information, and to address customer service matters. Examples of service providers include credit card issuers, product service depots, warranty providers, and delivery services. Any information our customers provide will not be used for other commercial purposes and will not be sold, rented, leased or forwarded to any third party. BestMobileCanada reserves the right to modify this policy at anytime. You should visit periodically to review any changes.